Welcome to the Diva’s challenge!! Great bunch of folks!! And how wonderful you are soon to be a CZT 🙂 🙂 Your entry is lovely for the Beads of Courage!! Thank you so much!✨💖✨ what a nice comment! I made a second tile. It is my next post- I would love if you could see it! Hello from the Diva challenge page! I just want to say I love all your bunnies, hehe. The little white one looks like he is grinning. Welcome! I hope you will be able to help may people with your therapeutic drawing. Thank you so much!✨💖✨ I do as well. 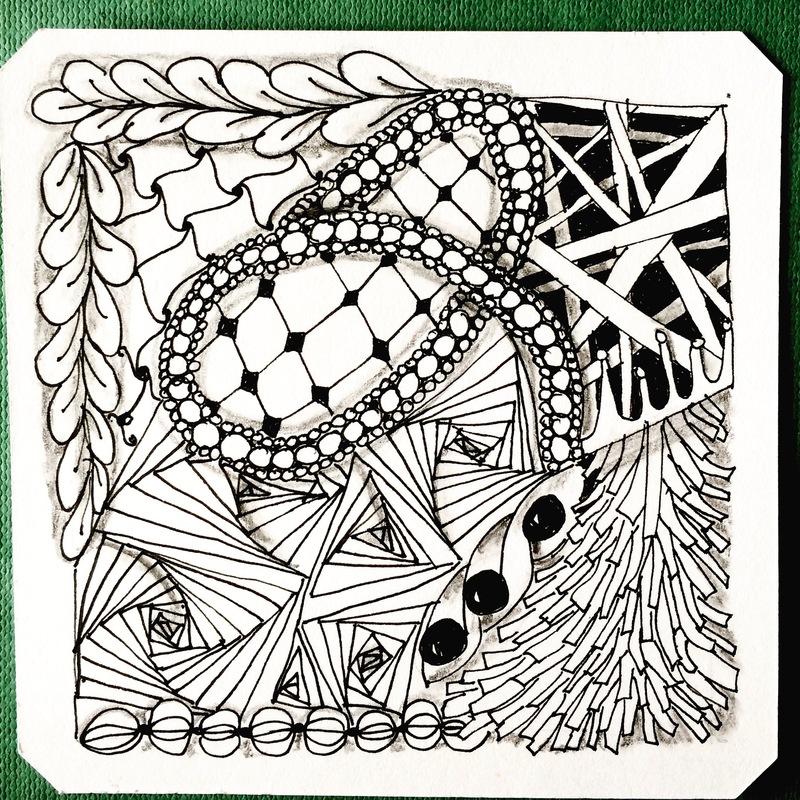 I believe in the power and restoration of spirit via Zentangle so much. Thank you! I believe in Tangling for restoration of the soul and hope I can convey it to others. Me, too, Ilse. Nothing would make me happier! Oh, yes, Kat, you did it right! And you are just going to love the seminar in Rhode Island! Have a wonderful time! Thank you so much!✨💖✨ I worried my tile was too busy. Maybe I should color the beads to make them stand out! i like your composition’s tile and your and tangles that you have chosen. Welcome in this challenge! Thank you so much!✨💖✨ I appreciate your kind words! Welcome here!!! Your tile is very pretty and I hope to ‘see’ you here again. Thanks for visiting my blog! And I appreciate your kind words. Thanks for visiting my blog and leaving such a kind comment! I worry about shading as I find it difficult. Very lovely tile! Welcome to this wonderful community!